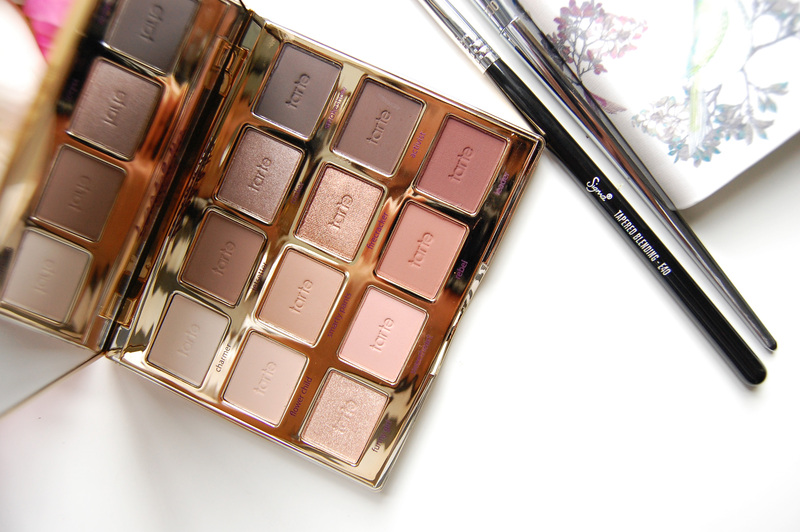 By now, I’m a little obsessed with tarte eye shadows. 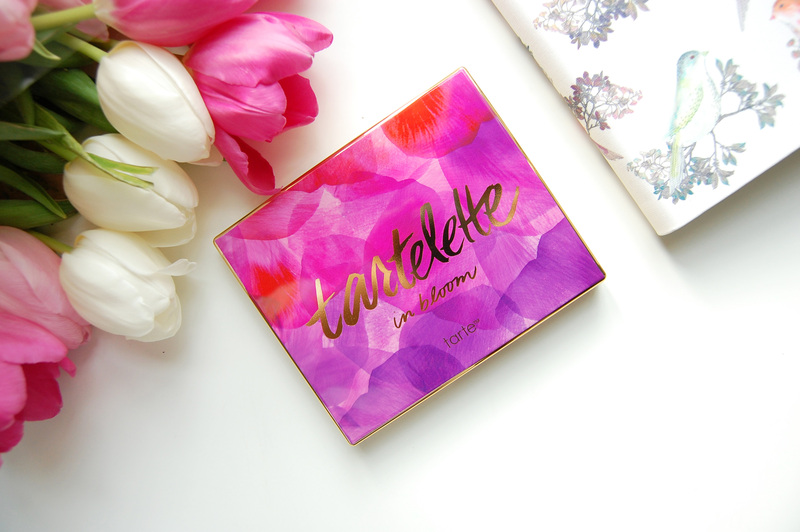 I mentioned the first Tartelette Amazonian Clay Eye Shadow palette in my 2015 Beauty Favourites roundup, but there’s a new kid on the block and it’s dreamy looking! 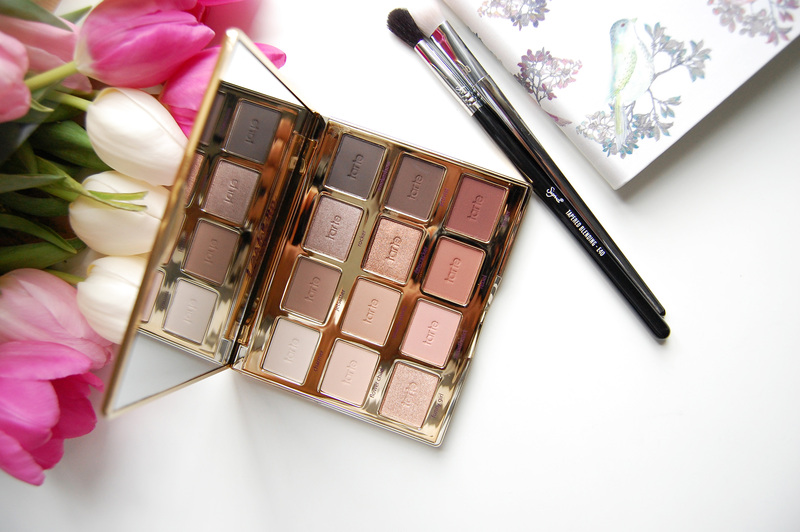 I will always be pro matte eye shadows, and I’m glad tarte are largely sticking to that idea with the new Tartelette 2 In Bloom palette. There are three lustres in this palette, but I can live with that. The muted warm tones I love, but the lighter shades aren’t pigmented enough. If like me, you like a subtle wash of something for everyday wear, then you might enjoy them more. But the lack of pigment means that this palate isn’t something you need, and you might be happier with just the first Tartelette palette. They’re still buttery in texture, more so with the darker shades, but they’re not as chalky because they’re not all strongly pigmented. I’ve also noticed tarte eye shadows look more vibrant and last longer when I use an eye shadow primer. QVC UK is selling this palette right now for a really good price. It also comes with a weird double-sided brush for packing on shadow and blending. The side for packing on shadows is a little too scratchy for my liking, but I can work with it. For £31, minus delivery, I think that’s a pretty good deal. You know, if you just fancy owning it like I do! They're palettes are ridiculously pretty! I think I'll keep buying them even if they aren't necessities. The first Tartelette palette though is insanely good! It took me two days and several failed attempts with editing the photos, and I'm not fully happy with them! I know right! I bought Exposed on a whim and it's ended up being my favourite thing I own! This palette looks so beautiful! I have been wanting to try Tarte eyeshadows for ages now...Have a great weekend!! Thank you! If you do, try the first Tartelette palette. It's a definite winner!